The shared drive server is our S:// drive that everyone accesses, instead of a website to paste the code to, I need the other engineers in Dallas and LA office to open and fill out forms with an HTML or some sort of link on that server where they would click, it opens, they fill out the form, then submit it to another user for approval....is that possible? Since the form is web-based, it will still need the internet to access the form. 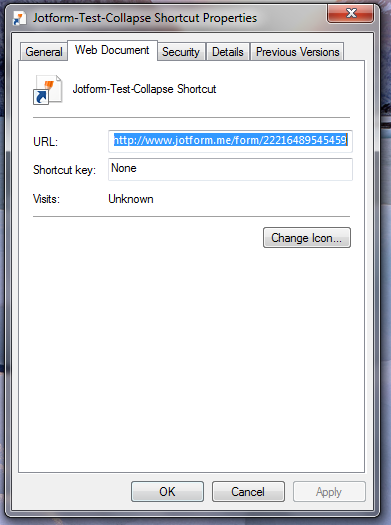 To allow users to access the form in the shared drive, simply put a "shortcut link" of the form URL in the local drive/folder where the user can "click" on the link. Everyime a user click on the link, the default browser will open the form using the internet. Here is a sample how my shortcut link to my form look like in my desktop.